Antigenic map of 71 early swine-origin 2009 A(H1N1) influenza viruses and 11 antisera. 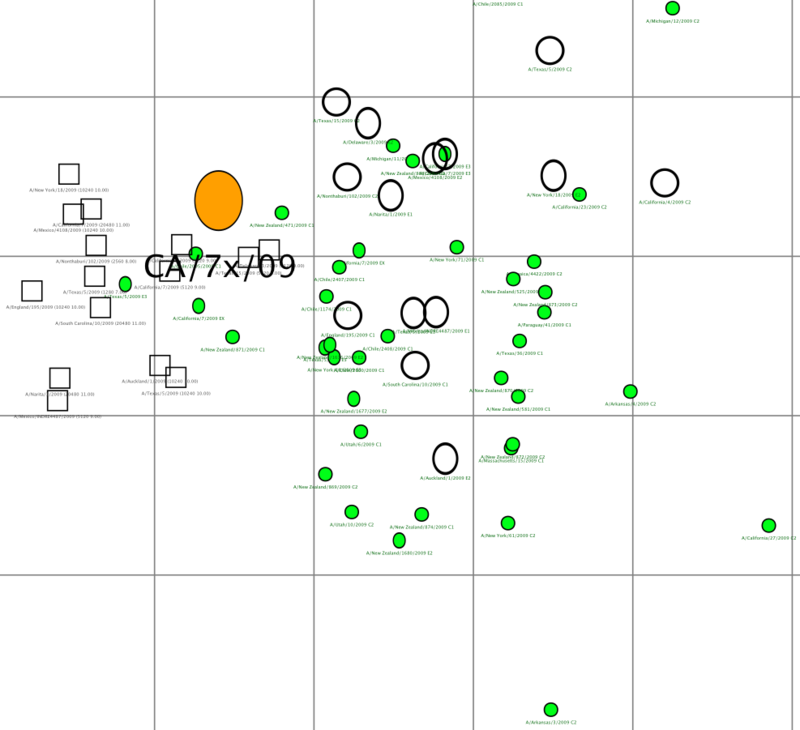 An antigenic map is a geometric representation of HI assay data. 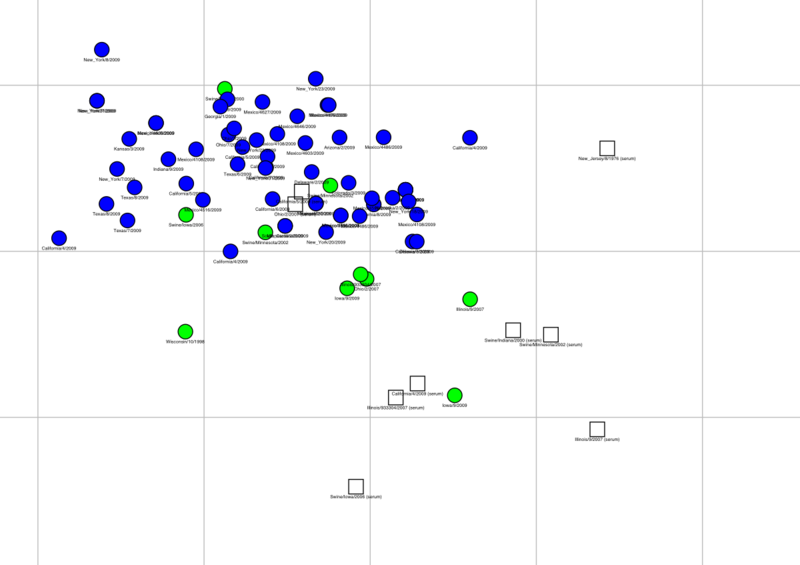 In such a map, the relative positions of strains (colored circles) and antisera (uncolored squares) are adjusted such that the distances between strains and antisera in the map represent the corresponding HI measurements with the least error. 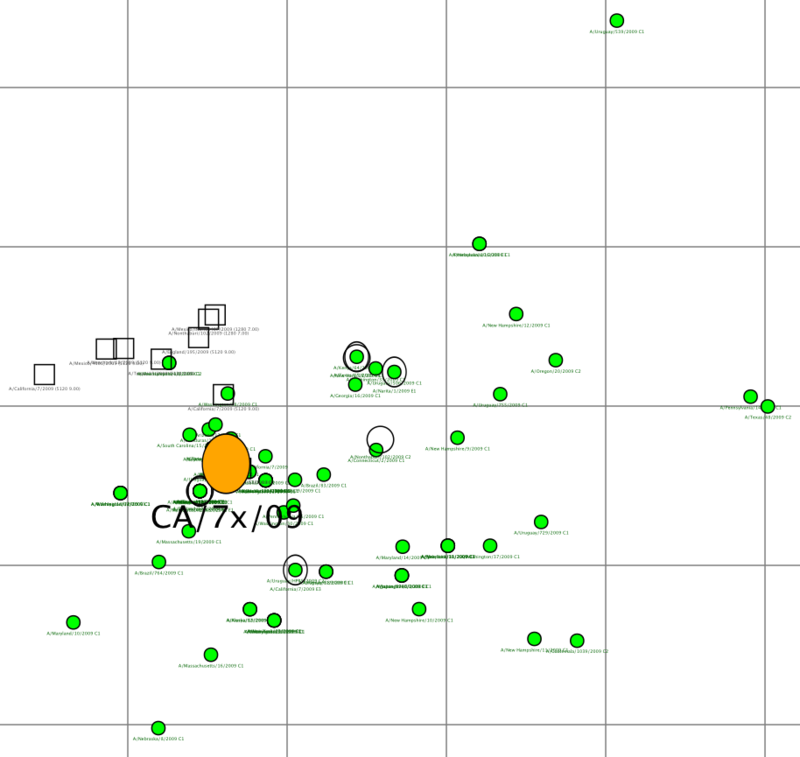 Distance in the map thus represents antigenic distance and the closer antigens are to each other in the map the more similar they are antigenically. The color of a circle in the map indicates whether the strain is a 2009 A(H1N1) influenza virus (blue) or an A(H1) swine influenza virus isolated between 1998 and 2007 from either a swine or a human infected with a swine influenza virus (green). 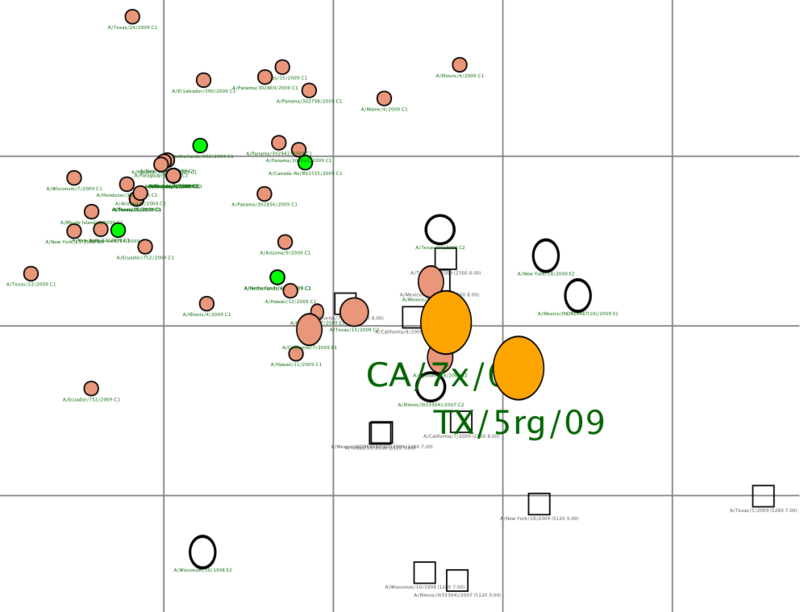 The vertical and horizontal axes both represent antigenic distance, and because only the relative positions of antigens and antisera can be determined, the orientation of the map within these axes is free (thus an antigenic map can be rotated in the same way that a geographic map can be rotated). The spacing between grid lines is one unit of antigenic distance -- corresponding to a 2-fold dilution of antiserum in the HI assay. Two units correspond to 4-fold dilution, three units to 8-fold dilution, etc. A difference higher than 4-fold in HI titer is usually considered to be sufficient to necessitate an update of the human seasonal influenza virus vaccine. 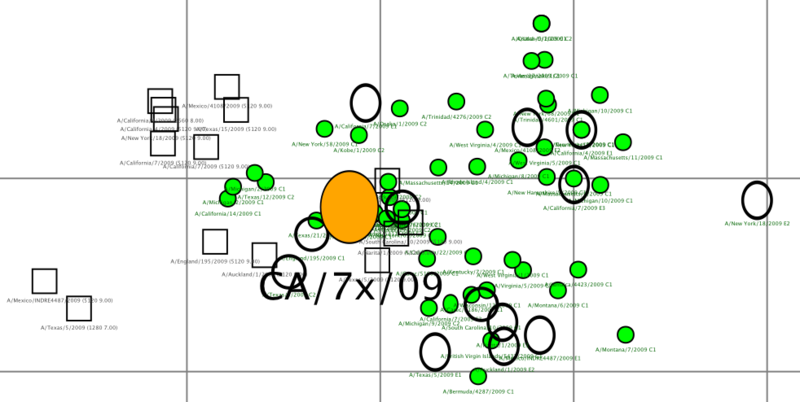 Antigenic clusters of human seasonal influenza viruses typically have a radius of 2 antigenic units (4-fold in HI). Click on the image above to download a zoomable PDF and be able to view names clearly.